Applications are nothing but computer programs. These computer programs can help a business in myriad ways including managing data, identifying new markets and business opportunities, enhancing customer reach and relations and improving communication flow within the eco system of business and markets. 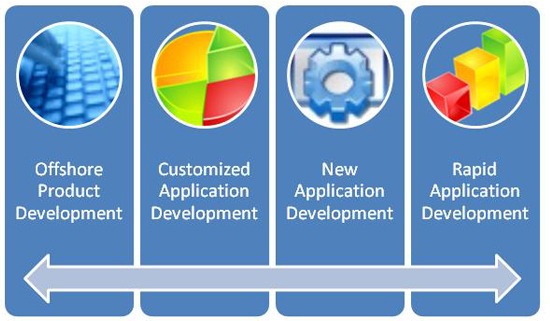 Therefore, application development is a hugely critical factor for any business today. And honestly, no business can afford to ignore this factor in their day to day life. There is no doubt that technology is a powerful weapon for any business and harnessing the same can bring about many benefits. Depending on the kind of business that an individual has, it becomes easier to keep tabs on search results. For instance, if you are operating a jewelry business, then you can use applications to alert you about the availability of great deals on gemstones. You can even create applications that will allow customers to connect with you. Apps are a useful way to create technology that works for you. Going back to the jewelry store example – your niche may be vintage emerald jewelry which will have a very different clientele that costume jewelry. Therefore, the apps that you develop or use should be tweaked to suit this market place. Apps are a wonderful way to connect with your customers. They give a sense of personalization that normal searches do not deliver. A customer who is interested in news, for instance, will use apps pertaining to the same only and eliminate extraneous information. For a news channel or a newspaper, creating an app that suits this customer’s need will stand it in good stead. App development and using apps is a great way for business to play on a level field. A business can use apps that have been created by someone else or come up with some of their own but when used smartly, such apps make it possible for even the little guys to match wits with the big corporations. The flexibility of business offered by apps is a great way to run business anywhere. Applications development can be used to support a business’s mobile workforce. Mobile or web based apps can be used by employees to access files, access information and interact with clients regardless of their location. This goes a long way in enhancing employee productivity and efficiencies of business as well. By developing an application that suits your business needs, you can enjoy the power of customer relations and reach with a lower amount of investment in hardware and infrastructure too. For example, using cloud based apps means virtually no new hardware. Data storage, information dissemination and communication with clients and vendors can be done in an effective and easy manner. App development is a great way to integrate marketing strategy of a company. Online marketing, social networking sites, websites and even search engine optimization can be managed in a far more effective manner with the help of specific apps. James J is a writer and blogger with 5 years experience.